The TikkTokk Nanny Panel Playpen! The patented snap together panels make assembly easy, fast and sturdy. The Nanny Panel Playpen is extendable by simply adding extension panels (available separately).The playpen panels are 650mm high and will therefore provide longer use for your child. The high quality plastic construction is easy to clean, strong and provides the safest environment for children to play in. 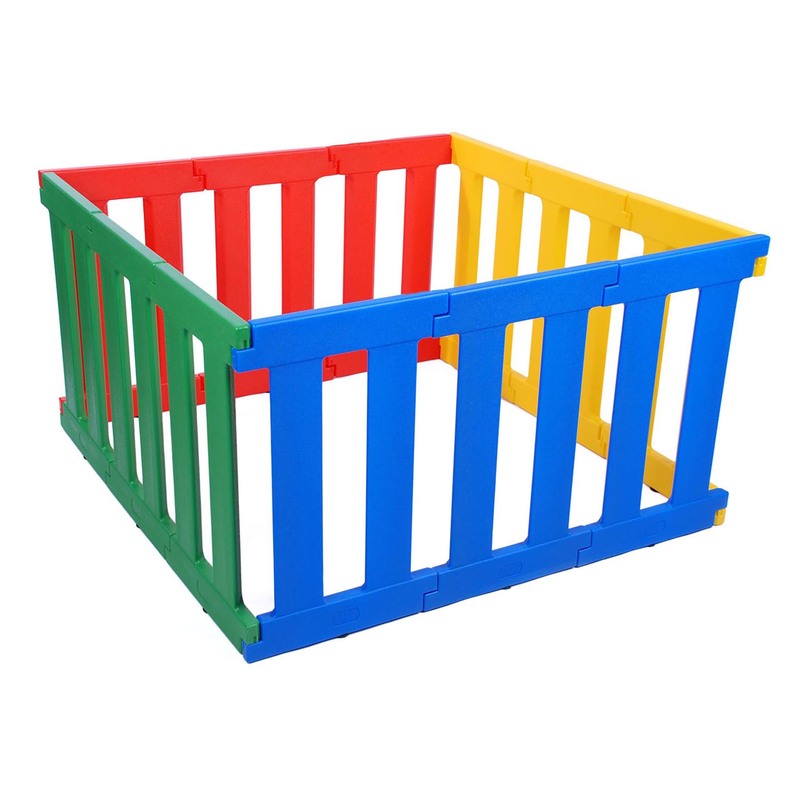 There are no sharp edges and the Playpen is supplied flat packed – easy to store and transport in its brightly coloured carry box. Suitable for indoor and outdoor use.